For the first time in it’s history, the IRONMAN 70.3 World Championship will be held in Australia. This year the race will take over the site typically used for the IRONMAN 70.3 Sunshine Coast race in Queensland. However, race organizers have amped up the difficulty of the race course to align with it’s Championship status. 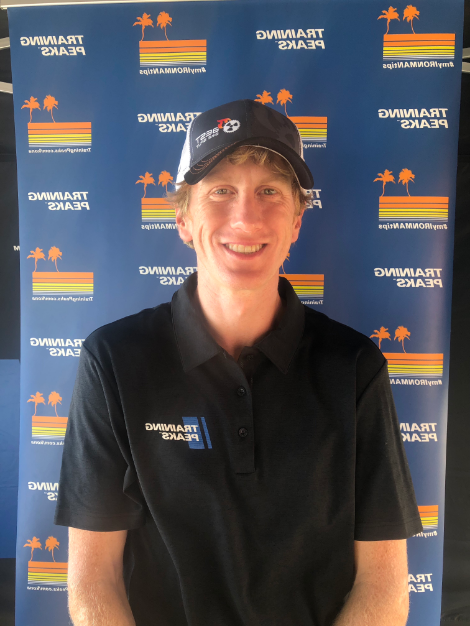 This course should suit the stronger cyclists like Lionel Sanders, the winner of the difficult, but not very technical 70.3 North American Pro Championship in St. George, Utah. 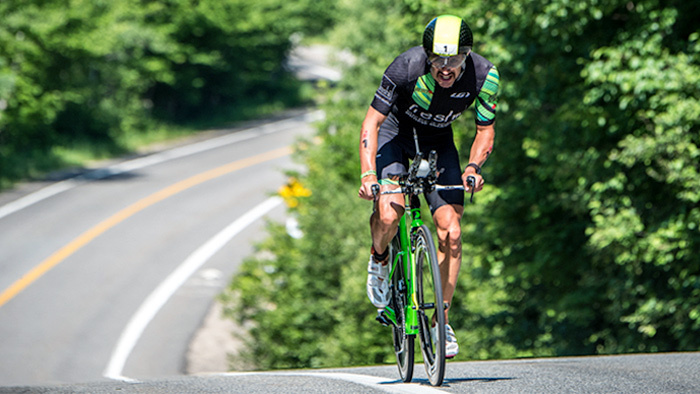 We at Best Bike Split have been working with Lionel on potential race day strategy and the following preview details some of the key areas to watch for during the race and some fun pro predictions. The bike course starts and finishes near the beaches of Mooloolaba. Out of transition, athletes will head out towards the main motorway. Here, the roads will be flat and fast but athletes will be a bit more exposed to the wind in these early sections. The course heads north on the motorway for a little over 14 miles before hitting the turn around and heading back into Sunshine Coast. At mile 25 athletes will turn off the motorway and head west towards the more difficult section of the course. From mile 28 to 35 athletes will face two steeper climbs though the descents should be fast and non technical. Athletes will do a second loop with more undulating roads which avoid the major hill before heading back to the coast of Mooloolaba to transition to the run. We have been tracking the weather quite often and it seems to shift day to day. The closer to the race the more accurate our weather forecasts will be, but currently the forecasts are calling for good conditions with a fairly consistent wind out of the south/southwest at 10 mph falling to 8.5 by the end of the race. However, on Saturday the forecast shows a wind coming predominantly out of the west, so things could change day to day. The temps will be low in the upper 50s to mid 60s and the humidity should drop throughout the race which will make for ideal conditions for athletes who tend to suffer in the heat. This should play to Sander’s advantage as he will be looking to hit some serious power numbers. With the current forecast, athletes will pick up a tailwind heading out on the motorway and slight headwind on the way back. As they make their way into the climbing section the denser foliage will eliminate most impact from the crosswinds. Strong cyclists will be hard pressed to make a big move on the out section of the motorway with the tailwind eliminating much advantage from a big surge. That said, a top swimmer with good bike power could make a hard move right out of transition to put some space from the slight cross to tail, but this could come at a cost later during the climbing section. At 15 miles into the race we should start to see some moves being made, but the real test and time gains will come as the athletes head inland towards the climbs. While the main climb is not long it is steep and favors riders that can absorb a higher Variability Index (VI) over these sections. Riding a completely steady power from mile 28 to 35 would lose more than 3 minutes to a variable power strategy for the similar total race Normalized Power® (NP®). Definitive moves to break any remaining packs on the bike will be made here. For the strong cyclists, the remainder of the bike will be about putting enough time to try to stave off the strong runners. For Sanders, it will be about closing any gaps on someone like Sebastian Kienle or Andreas Dreitz, who recently beat Sanders on the technical IRONMAN 70.3 European Championship race in Wiesbaden, Germany. For these stronger riders up front it will be about trying to maintain a lead of at least three to four minutes heading into the run. While the time analysis tools shows where athletes can get the biggest gain for their power, drag, or weight changes, the baseline Best Bike Split model will still give an optimal strategy for the individual rider. In Sander’s case, we modeled three different NP scenarios to get an idea of what tactics to expect. In the past, we have shown how close the model is to his power targets, especially in the hillier sections of a course like St. George. While the numbers you see below are obviously very high one thing to notice is they are well within his Training Stress Score® (TSS) range to still perform great on the run. In these weather conditions we will say that he is definitely the one to beat (we know … going out on a big limb there). Athletes that have strong swims combined with good bike numbers will want to work together as much as they can in the first 25 miles with the more direct wind conditions making any chasers work hard to close the gap. With the absence of Jan Frodeno at the 2016 Ironman 70.3 World Championship, Sebastian Kienle comes in as the favorite having placed 2nd in the 2015 version. Kienle’s descent swim coupled with his stellar bike prowess and good run will suit him well on the course. Remember that in 2015, Kienle outran Javier Gomez. Andreas Dreitz may actually have an even more impressive swim and bike than Kenlie but his run lags quite a bit behind. His recent victory at the 70.3 European Championship shows that his run has dramatically improved but giving up over five minutes to Lionel Sanders on this course will probably not take the podium. To help hold off the Sanders charge, Kienle and Dreitz may want to work together on the bike to try to put significant time into the field. For Sanders, it will be about hitting his power numbers and knowing limitations. The course sets up much better for him than the European Championship that features significantly technical descents. If he is within three to four minutes of Dreitz and two minutes of Kienle heading into the run, the race for the finish will come down to the wire but Sanders should be able to take the win. This might be a race for second and third place as Daniela Ryf is back to defend her 70.3 title. Though not as difficult as the 2015 race, the bike course is hard enough for Ryf to put a gap into the field. If there was anyone who could challenge Ryf, or at least put the pressure on this year it’s Heather Wurtele, who has put in great performances all year long. Perhaps her most impressive win was on the difficult St. George 70.3 North American Pro Championship where she put a few minutes into most competitors on the bike. That being said, Ryf is a complete athlete in all three disciplines and continues to race at another level. A BBS athlete and potential top five contender Lauren Barnett will unfortunately not be racing due to an injury, but her original plan showed she had a good shot of coming close to Wurtel on the bike with a 2:24 split. We wish her a quick recovery and know she will be back stronger than ever. As for the rest of the field, expect a strong showing from Melissa Hauschildt a two time former IRONMAN 70.3 World Champion who showed great form at the IRONMAN 70.3 European Championships in Wiesbaden, Germany. Her bike prowess could rival Ryf on a good day, but her swim will may have her playing catch up from the beginning. Create the perfect race plan and predict your time for your next event with your free trial Best Bike Split trial.